This piece appeared in The Big Issue in December 2013. David Attenborough was eight years old when he discovered the immensity of Mother Nature’s miscellany. It happened on a trip to the vast Natural History Museum in London. “It wasn’t the big dinosaur, the diplodocus, that impressed me the most,” he recalls. “As a boy I was a bit saddened to see it was a copy – a plaster cast. Bit of a swizz, I thought. At 87, Attenborough has been almost everywhere, seen almost everything. He is able to look back at the breadth of his broadcasting work with pride. His programmes have covered every aspect of the natural world (“a reasonably coherent survey”, he judges) and have left an enormous impression on several generations of telly viewers. He is – according to a Reader’s Digest poll – the most trusted person in the United Kingdom. He is also determined that a pacemaker fitted in 2013 will not stop him achieving yet more. Talking to The Big Issue shortly before Christmas, the great naturalist of our age is visibly, boyishly excited about his latest project for Sky – David Attenborough’s Natural History Museum Alive, which uses CGI and 3D technology to bring the museum’s extinct inhabitants to life. At one point Attenborough comes face-to-face with a sabre-toothed Smilodon, a 33-ft gigantophis snake and a huge, fluffy moa bird. It makes for delightful viewing. But wandering round the Natural History Museum before the interview, I found myself feeling a bit jaded – overwhelmed, perhaps – by humanity’s masterful ability to document. We have set up live webcams of lion kills, surveyed the inky-dark recesses of the ocean floor, stuck cameras into every conceivable kind of burrow, nest and den. If we are getting this good at filming living things (and some dead ones too), isn’t there a danger we’re running out of discoveries? Climate change means we – and everything else on the planet we take pictures of – are in pretty big trouble. 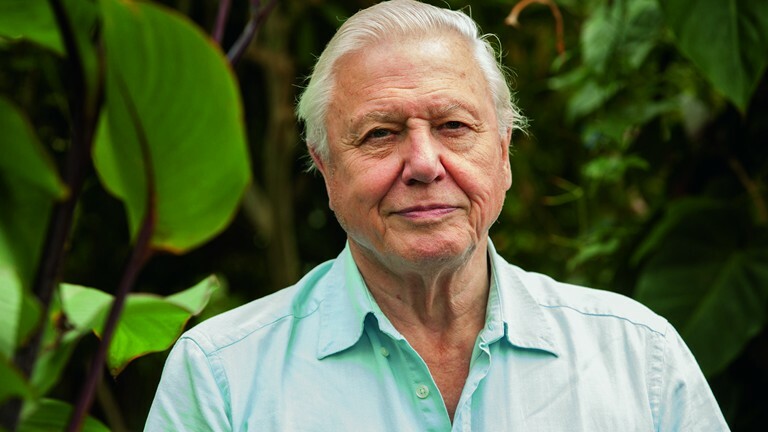 Despite initial reservations about mixing environmentalist polemic and his role as an objective BBC figurehead, Attenborough has become more open about the huge difficulties we face in a warming world. “Kids should know,” he says. “They are the next generation that’s going to have to cope with a lot and decide what they’re going to do. Kids don’t get overwhelmed by all that much. Kids are optimistic little creatures. It’s middle-aged and elderly blokes like me who get depressed about it. He worries that very big changes are now inevitable. How does he rate our chances of survival? “We’re not going to become extinct in the next 100 years, 200 years or 500 years,” he says. “But we may well be less well-off, less comfortable than we are now. There will be more of us in the immediate years ahead, whatever we do now. “So the natural world will be under greater threat. There may be things we can see now that they wouldn’t be able to see. The effects are very difficult to predict so it’s either a very great or foolish man who sticks his neck out and says he knows what’ll happen. “But by and large – if you’re a cook or a chemist – you know that if you heat things up reactions take place,” he continues. “The Earth is heating up – it’s bubbling more, it’s fizzing more. If climate change continues, as one suspects it might, a lot of fertile lands will be under water, a lot of lands that are fertile now will become desert and there will be huge changes in population. Attenborough also seems perturbed about the tricky path ahead for public service broadcasting. He is aware how fast things are changing. Almost all trends are now at odds with the sober, Reithian values of the BBC. “There will be an awful lot of do-your-own television,” he says. “You know better than me, kids are making their own stuff and talking to themselves – and they don’t particularly want old guys sitting in London telling them things. That’s becoming global. The factors, the influences, the ideas, the exchanges, globally, are changing hugely. “If you’re in an optimistic mood, you think, ‘That’s pretty good – everyone is involved’. On the other hand you can see it as mob rule, and wonder if anyone will do anything intelligent or far-seeking or altruistic. And then the nation’s most trusted man is off, a meeting with Prince William and the Duchess of Cambridge ahead at a special screening of his 3D extravaganza. It is tempting to imagine, gloomily, there will never be another like Attenborough. But perhaps, in the spirit of optimism, it is better to imagine that somewhere out there is an eight-year-old boy, taking his first trip to the museum, getting ready, one day, to show us a new way of looking at the world.